ABHA, KSA KMD designed a A 300 and 500-bed High-Rise Prototype General Hospital for the Kingdom of Saudi Arabia Ministry of Health that will be built throughout the Kingdom in high density cities. Uses include ED, Inpatient Bed Towers, Outpatient Clinics, Testing Labs and general support spaces. The decision was to develop a new prototype on a smaller, more personal level, but focused to serve urban settings, rather than suburban or large medical cities. 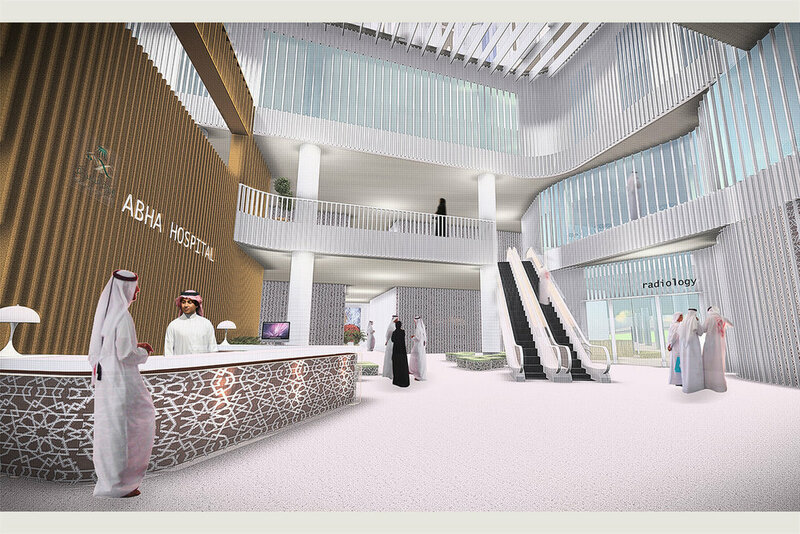 The prototype hospitals, of which the Abha Hospital will be the first, are designed to establish new brand qualities.